Tessa Hennessy Solicitor is owned by Tessa Hennessy BA (Hons), a qualified solicitor. As well as having sound legal credentials Tessa has extensive knowledge of the voluntary and community sector. After gaining a law degree at Durham University, Tessa went on to pass her Solicitors’ Final Examination, followed by legal training at a large commercial law practice in Birmingham where she qualified as a solicitor in 1989. After several years as a commercial solicitor, Tessa took up an in-house legal and managerial position with a large Birmingham-based charity. Of those years working in the charity sector, Tessa says: “They were exciting and challenging times, never a dull moment and extremely fulfilling”. Tessa moved to Oxford in 2002 and worked for Co-operative Futures providing advice to start up community and co-operative owned businesses in Oxfordshire, before setting up her own legal practice in 2008. 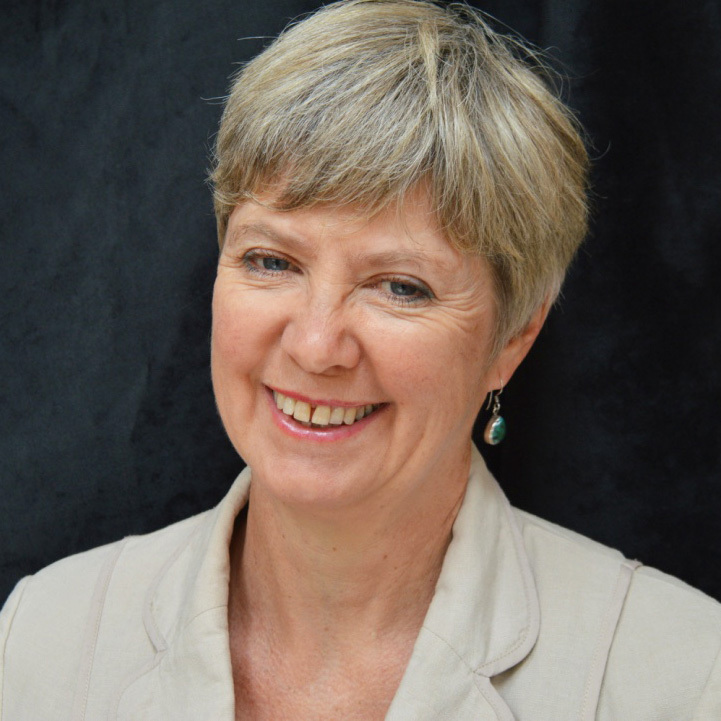 Tessa advises a wide range of charities and social enterprises including start ups and existing organisations, and has built up a successful legal practice. New work is mostly through word of mouth referrals. Tessa is a trustee of Divya Shanthi Mission Support, an Oxford-based charity supporting the work of the Divya Shanthi Christian Association which helps poor and vulnerable people in Southern India. Tessa is actively involved in a number of community activities including the joint management of the local scout hall. In her spare time, Tessa enjoys choral singing, walking and bird watching. Tessa is a member of the Law Society, the Charity Law Association and the Lawyers Against Poverty Group (set up by Oxfam in 2015). 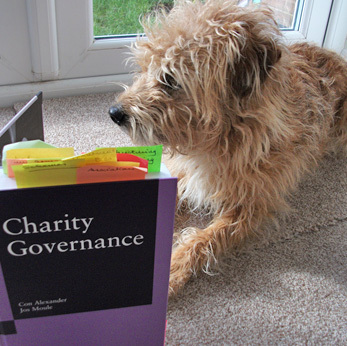 Rufus, the office dog, is pictured, boning up on his knowledge of charity governance.